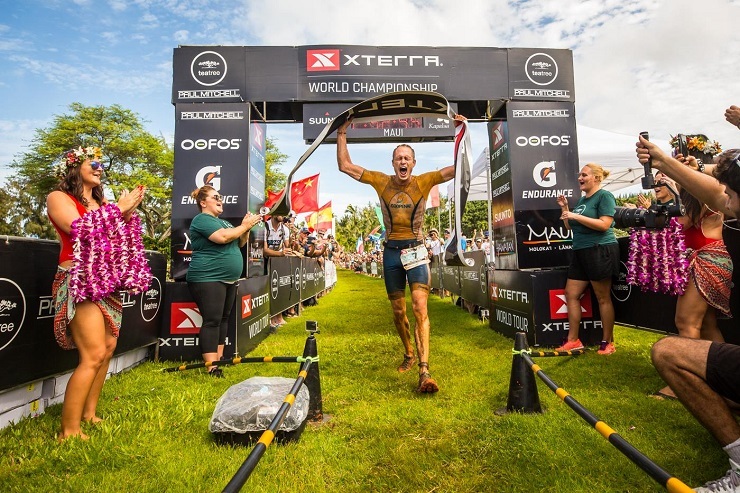 Costa Rica’s Rom Akerson and Scotland’s Lesley Paterson won the men’s and women’s titles at the Xterra World Championship in Kapalua, Maui, yesterday. Akerson won in a time of 2:52:41, with second place going to South Africa’s Bradley Weiss and New Zealand’s Sam Osborne in third. Spain’s Ruben Ruzafa placed fourth, with Colorado’s Josiah Middaugh in fifth. Paterson won the women’s race in 3:29:07, with Mexico’s Michelle Flipo in second and New Zealand’s Lizzie Orchard third. USA’s Suzie Snyder finished fourth, with Hungary’s Brigitta Poor fifth.